Kajabi's President, "this is the biggest land grab since we opened our doors to Founders in 2015!" - click for all the details! If the FREE Kajabi trial was school, school, then this trial before the trial is the equivalent of getting all the answers to the quiz before the quiz is handed out. Exactly how a Kajabi site works and how it makes you money. Products that attract users to login and DO the work. My Kajabi superpowers at your disposal. The words you'd hear me say if anyone ever took Kajabi away. It's the #1 team member that never tires and never asks for a raise! What is the trial before the trial? It's a way to see exactly what Kajabi can do for you and your business before the clock starts ticking on an actual Kajabi free trial. When you're ready to try Kajabi, you can click this link and get 28-days free to play around with what Kajabi can do. You need to enter your credit card and then at the end of the trial period, if you don't cancel, Kajabi will charge your card according to the plan you signed up with. With the trial before the trial, you have free access to a product I've designed for you so you can collect your thoughts, try out ideas, and then really maximize your Kajabi free trial when you turn it on. What can I expect if I sign up for the trial before the trial? You will receive a username and password so that you can login to the product library that I have for my own business using Kajabi. Once you are inside, you'll see a guided experience that lets you see exactly how the Kajabi site, products, blog, funnels (we call them pipelines), automations, and more work. You'll also get insider information from me on how to easily navigate through what you want to accomplish during your Kajabi trial. Am I signing up for Kajabi right now? If you click this link, then you are signing up for Kajabi. Right now this is a free sign-up to gain access to an experience I've created for you to help you decide if Kajabi is right for you and if it is to show you what Kajabi looks like and how it functions so that you don't waste a single day of your Kajabi trial. How well do you know Kajabi yourself? I know Kajabi inside and out and if you stand too close to me for too long I will totally convince you that it is the best ally you can have in your business. Kajabi selected seven power-users and super-fans to be Ambassadors and I am one of those. I've used Kajabi since they opened their doors in November 2015 and the reason I fell in love and have stayed in love (and grown deeper in love!) is the freedom it gives me to live the life that I want. Kajabi doesn't break. 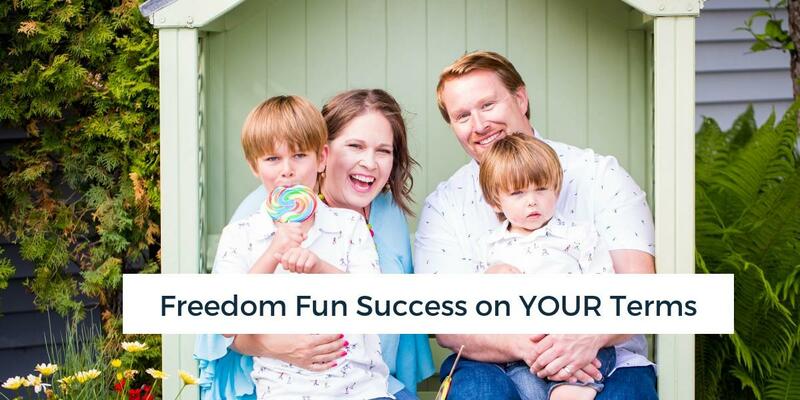 It works better than the team ever says and as a parent with a booming business and two little boys - I need easy and dependable. Kajabi for me is a lego set and I play with it so often that I give myself the title master builder. Others say I'm the "Ka-genius". At the end of the day, I simply enjoy teaching others how to play with the Kajabi legos so they can get out from behind the computers and out into the world living in the way that they want to. Can Kajabi change the trajectory of your life as it did mine? What if Kajabi can change your life? What could be different in 6 months? You're making a smart decision right now. Taking the time to see if Kajabi is what your life and business needs is time well spent and I am here to help you make the most of the time! Enter your information and I'll bring you right inside the trial before the trial doors!